!! !, undoubtedly the finest bunch of New York disco-punk-funks terms you’ll ever come across, released their new album As If in Ocober. I reviewed the album for Clash and you can read my review here. Somewhat appropriately for an album that evokes the spirit of Studio 54, my review was written on a flight to NYC. Sometime Mute act Modey Lemon drummer Paul Quattrone plays in !!!. ‘I Heard Them Say’, the first taster from the third Maps album Vicissitude, was released as an exclusive 100-copy, hand-stamped* 12″ in association with Manchester mail-order outlet Boomkat. Set to become a contributor to the pension plan of a select few record collectors** in the future, the 100 copies sold out pretty much straight away, creating a bit of a justified buzz for Vicissitude, which will be released in the summer of 2013. James Chapman‘s music as Maps feel a lot like being subjected to hypnosis: his voice on ‘I Heard Them Say’ is whispered meditatively like a therapist as you involuntarily recall events and emotions locked well inside, while musically he offers a shifting, amorphous palette of sounds that feels hazy, lush and entrancing by turns. Sounds are layered in dense seams of locked-up feelings to create a sensibility that the kids would probably label chillwave (or hypnogogic pop if you’re one of those academic types over at The Wire). ‘I Heard Them Say’ is brutal, in a very subtle way – by the end, after you’ve been subjected to those enveloping synth tones, drones and pulses and Chapman’s quiet musings, you’re left with an uncomfortable feeling of unease (heightened by detached references to insanity) laced with something vague on the periphery that could be, but probably isn’t, optimism. 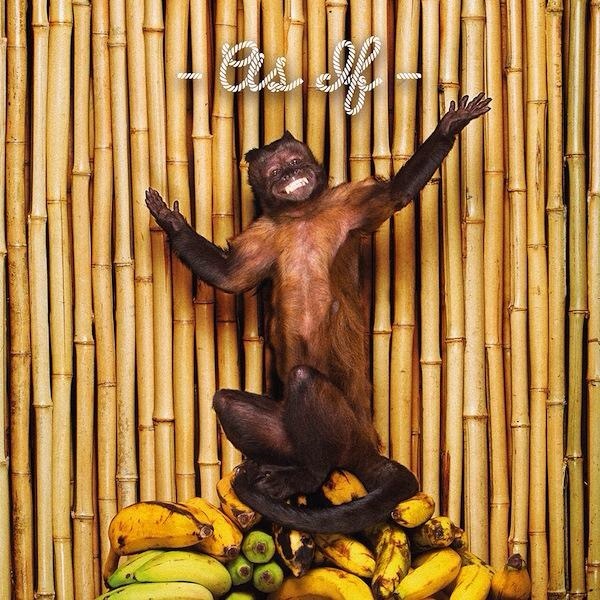 The 12″ comes with two mixes, one from Maps and one from Andy Stott. Chapman’s remix is sparse, fragile and dark, ultimately reaching the same emotional place, just more slowly and deploying judicious use of treacly reverb along the way. Man of the (underground) moment Stott’s mix is filled with crunchy percussion and beats between which whole universes reside, the bassline burbling gently to the surface every so often and Chapman’s rearranged voice washing in like a sonic wave. Toward the end the emergence of droning synths offers some respite from relentless slow-motion techno minimalism, becoming the soundtrack to a very dark sci-fi flick instead. 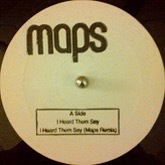 A digital version of ‘I Heard Them Say’ was initially available with album pre-orders via the Maps webstore. First posted 2013; edited 2015. 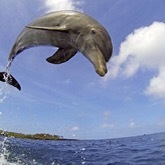 Continuing his parallel career as a soundtrack composer for innovative BBC nature documentaries, Goldfrapp‘s Will Gregory provided the music to Dolphins: Spy In The Pod, first broadcast in January 2014. Reflecting the playful scenes of dolphins interacting with each other and the cameras hidden in the likes of a robotic tuna and turtle, Gregory’s music occasionally sounds a lot like the calypso music made for Disney’s The Little Mermaid, so much so that you half expect Sebastian to start singing ‘Under The Sea’ at any moment. Elsewhere there’s a sort of dreamy, aquatic ambience filled with languid guitar lines and wave-like textures. The music has never been released officialy to the best of my knowledge, but a DVD of the David Tennant-narrated documentary can be bought from Amazon etc. ‘These songs they seem to write themselves,‘ sings James Chapman on the poignant, bittersweet ‘Glory Verse’, the towering ballad which rounds off the solitary EP from Short Break Operator and which some indie movie director really needs to snag for his next film’s soundtrack. That line, accompanied by a skittering drum pattern, organ chords and genteel guitar serves as a neat summary of how effortless, relaxed and casual the four songs on the EP feel, a distinct accomplishment for a debut release from an artist better known as Maps. The EP was released on Radiate, a subsidiary of Virgin / EMI and predates Chapman’s own Lost Space imprint, through which the first Maps singles were issued. Chapman himself calls these ‘lo-fi’ recordings, and in contrast to the fuller, more electronic production on the Maps releases, that isn’t a totally inappropriate way of describing them. 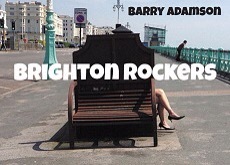 What’s more evident is a restrained, almost folksy leaning, the four songs here generally consisting of plucked guitar, subtle electronics and percussion, with vocal harmonies that evoke a pastoral sense of longing and muted euphoria. It’s the kind of chilled-out, warm music you’d expect to hear in a tent on the fringes of a festival, a guy with a guitar sat hunched over a mic at the edge of a small stage accompanied by a miniscule box of tricks. The songs here feel like raw outpourings of uncertain emotions, the harmonies and chords suggesting something uplifting while the lyrics hint at some monumental misery, interlaced with wintery imagery and plaintive pleadings. ‘This Transmission’, with its delicate string section and lyrics suggesting unrequited love captures that delicate balancing act perfectly, while ‘Some Winter Song’ has a beguiling, wide-eyed theme with circular lyrics referring to positive feelings, the source of which Chapman – somewhere between gleefully and spitefully – doesn’t divulge to whoever the song is being delivered to. Synths shimmer like reflections on ice, giving these songs a glacial, frozen beauty. ‘Take Route / Point Odinsve’ is probably the most overtly ‘electronic’ piece here, a sparsely populated soundscape undercut by a steady pulse and melodies from guitars, synths and strings that weave and glide like a light aircraft on the thermals above the Reykjavik ice-world alluded to in the second part of the song’s title. If Biosphere’s Geir Jenssen tried to cover Dave Angel’s In-Flight Entertainment EP with an orchestra, it might sound something like this. A processed ‘peaceful‘ uttered deep in the middle of the trip feels tranquil and still, comfortably isolated. Chapman adopted the moniker Short Break Operator during a period of wanting to escape more or less everything, finding himself gazingly longingly at holiday brochures for short-haul destinations like Iceland but thwarted by prohibitive costs. One of those brochures claimed itself to be from ‘Your No. 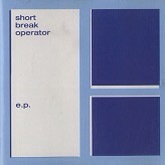 1 Short Break Operator’, giving rise to the alias used on this EP, while the name Maps too fits with a sense of travelling. Chapman finally got to work in Rejyavik on the We Can Create album after signing to Mute. First published 2013; edited 2015. 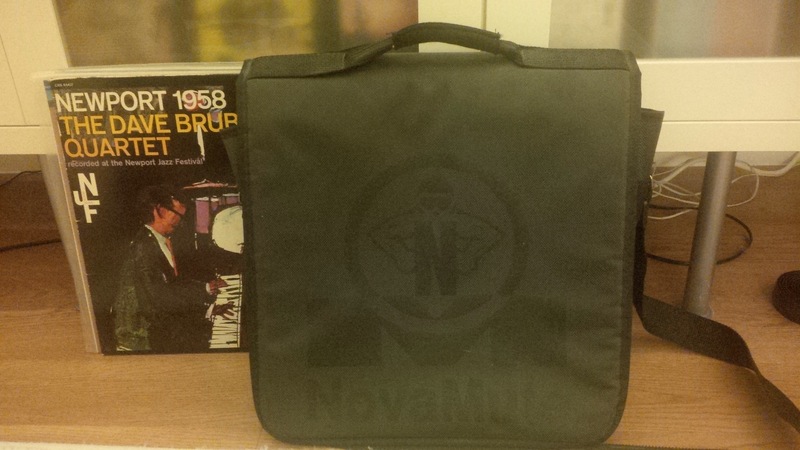 Sometime in 1996 I bought this NovaMute-branded DJ record bag from MuteBank. I think I’d been persuaded after seeing it advertised in the first MuteBank A4 catalogue, Statement #1. The bag in the catalogue has a white NovaMute logo on the front, but when mine arrived it was pure black, with a shiny black logo on the flap. Statement #1 lists the DJ bag with a catalogue reference of MBM31 – MuteBank Merchandise 31. My plan had been to use this as the bag that I’d use to cart my university texts and papers around campus. Back then you could identify the guys who were into dance music by the record bags they’d lug around, as they’d always be branded up with some funky label or record shop. It was a signal of solidarity. I wanted to nail my colours to the NovaMute mast but when the bag arrived I decided to use it instead for its intended purpose, namely storing records. The pure black, thick plastic record bag with its shiny ‘classic’ NovaMute logo did its job more than adequately, but I no longer need it. It’s in perfect condition and its age is only given away by the fact that a) NovaMute don’t exist any longer; b) they ditched this ‘classic’ logo in favour of plain text inside a rectangular box several years after I bought this (which was always a shame, I thought); and c) no-one makes bags like this anymore. I think it can hold about 30 12″ records and has pockets under the flap for the random stuff that DJs probably used to carry around to clubs back in the day. If anyone wants to buy it off me, get in touch. Otherwise you’ll find it on eBay at the weekend. Note that this is the start of a major decluttering initiative on my part, which will see me offloading lots of things, including (I suspect) the bulk of my Mute record collection. It’s been a while since I last posted about my monthly contributions to Electronic Sound. 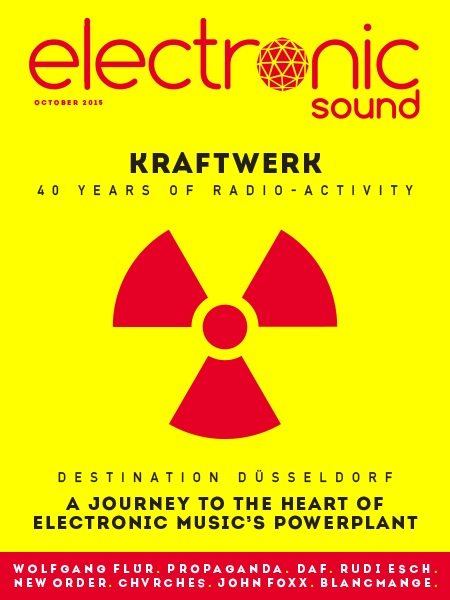 For the latest issue, appropriately focussed on the so-called “crucible of electronic music” that is the city of Düsseldorf, I interviewed Gabi Delgado from D.A.F. about his recollections of the city and his new album 2. I also achieved something I never could have expected as a kid while I drove around my home town with my dad listening to OMD by interviewing Andy McCluskey about the track ‘Enola Gay’. Elsewhere in this issue you’ll find a short piece on slow-working New Zealander Introverted Dancefloor, as well as my reviews of Kelpe and my new favourite band, New York’s The Fantastic Plastics.